BOULDER - In the next century, wind resources may decrease in many regions of the Northern Hemisphere and could sharply increase in some hotspot regions down south, according to a study by University of Colorado Boulder researchers. The first-of-its-kind study predicting how global wind power may shift with climate change appears today in Nature Geoscience. Wind powers only about 3.7 percent of worldwide energy consumption today, but global wind power capacity is increasing rapidly-about 20 percent a year. Karnauskas and colleagues Julie Lundquist and Lei Zhang, also in ATOC, wanted to better understand likely shifts in production, so they turned to an international set of climate model outputs to assess changes in wind energy resources across the globe. 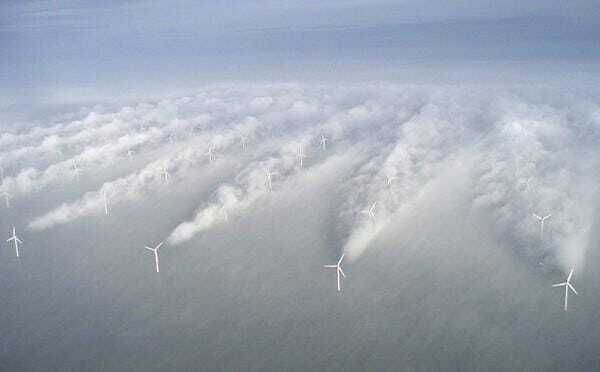 The team then used a 'power curve' from the wind energy industry to convert predictions of global winds, density and temperature into an estimate of wind energy production potential. While not all of the climate models agreed on what the future will bring, substantial changes may be in store, especially a prominent asymmetry in wind power potential across the globe. If carbon dioxide emissions continue at high levels, wind power resources may decrease in the Northern Hemisphere's mid-latitudes, and increase in the Southern Hemisphere and tropics by 2100. Strangely, the team also found that if emission levels are mitigated, dropping lower in coming decades, they see only a reduction of wind power in the north-it may not be countered with an increase of power in the south. Renewable energy decision makers typically plan and install wind farms in areas with consistently strong winds today. For example, the prairies of the American Midwest-persistently windy today and in recent decades-are dotted with tens of thousands of turbines. While the new assessment finds wind power production in these regions over the next twenty years will be similar to that of today, it could drop by the end of the century. By contrast, potential wind energy production in northeastern Australia could see dramatic increases. There were different reasons for the Northern decline and the Southern increase in wind power potential in the high-emissions scenario, Karnauskas and his co-authors found in their analysis of modeling results. In the Northern Hemisphere, warmer temperatures at the North Pole weaken the temperature difference between this cold region and the warm equator. A smaller temperature gradient means slower winds in the northern mid-latitudes. 'These decreases in North America occur primarily during the winter season, when those temperature gradients should be strong and drive strong winds,' said Associate Professor Lundquist, who is also a RASEI Fellow. In addition to North America, the team identified possible wind power reductions in Japan, Mongolia and the Mediterranean by the end of the century. This may be bad news for the Japanese, who are rapidly accelerating their wind power development. In the Southern Hemisphere, where there is more ocean than land, a different kind of gradient increases: land warms faster than the surrounding, much-larger oceans. That intensified gradient increases the winds. Hotspots for likely wind power increases include: Brazil, West Africa, South Africa and Australia. 'Europe is a big question mark,' added Karnauskas. 'We have no idea what we'll see there. That's almost scary, given that Europe is producing a lot of wind energy already.' The trend in this region (and in others, like the southeastern United States) is just too uncertain: some models forecast wind power increase, and others, a decrease. In a warming world, harnessing more wind power in coming decades could be critical for countries trying to meet emission reduction standards set by the Paris Climate Agreement. The team's results may help inform decision-makers across the globe determining where to deploy this technology.